Chinese Business Behind Greek Censorship? | Who's afraid of Shen Yun? Chinese Business Behind Greek Censorship? Censorship at Athens Concert Hall due to Cosco? Organizers claim deliberate postponement of the Shen Yun performance , that in its contents also presents human right abuses in China. The unexpected discontinuance of ticket sales happened at the same time with the visit in Athens of the President of the Chinese Company, Cosco (This Company is active in Piraeus port). Athens Concert Hall claimed the need to have their ventilation system in the particular Hall that will stage the show be persevered. Meanwhile the Hall emphasizes that it is not cancellation but postponement of the artistic event. 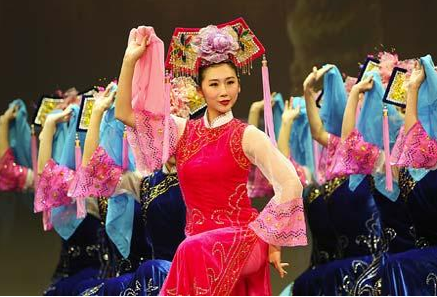 The performance Shen Yun is based on traditional Chinese dance. It consists of 20 self contained parts. In 2 of them the artists tell about persecutions that happen to an energy practice group in China. Shen Yun performance was scheduled to be presented on the 3rd and 4th of June in Hall Alexandra Triandi of Athens Concert Hall. “On Friday the 21st of May we got information that tickets sales has been discontinued by Wednesday morning”, said to tvxs.gr Mr. Kostas Tsolis, President of the non profit association Falun Dafa, that it is the presenting association in Greece. Mr Tsolis added that on the day of the postponement, a happening took place in Concert Hall in which the President of Cosco, seniors of the Chinese Company and Greek politicians participated. “Obviously it is not coincidental. In almost every country that has accommodated the show, an issue has arisen,” he explained. This entry was posted on Thursday, May 27th, 2010 at 12:04 pmand is filed under . You can follow any responses to this entry through the RSS 2.0 feed. You can leave a response, or trackback from your own site.